Featured by CNN as one of Seven Santas across the US. Marietta’s Fourth in the Park, Parade. The St. Regis Hotel in Buckhead, Georgia. Since the hotel’s opening, Santa has hosted an afternoon tea at this famous hotel. This event is sold out quickly and reservations are required. The “Tea with Santa” has been voted one of “10 Best Holiday Teas” in the U.S. Santa makes sure each child has time with him! He has done commercials, TV promotions and he is a contributing writer to The North Pole Observer and ClausNest.com. His knowledge of Santa lore encouraged him as a founder of the Santa Academy of Atlanta, Georgia. 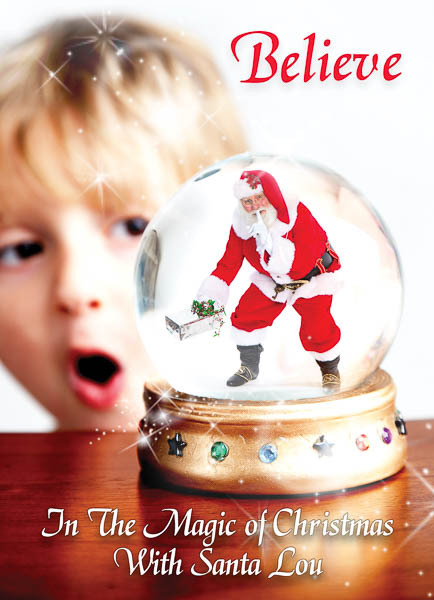 Presently, he is a contributing instructor at the NorthStar Santa School which offers personalized training for professional Santas and Mrs. Clauses. Santa Lou has a soft spot in his heart for two special groups of kids. He has appeared for kids with cancer at parties, homes and hospital visits. The other is the “Grown up Kids” who are our senior citizens. Those who are elderly are usually alone and without companionship especially during the holidays. Santa Lou has been a Director of Santa America and is a member of local organizations such as Peach Tree Santas and The Real Bearded Santas of North Georgia. He was a team member of ClausFest which was a meeting of over three hundred Santas in 2014 in Gatlinburg, Tennessee. 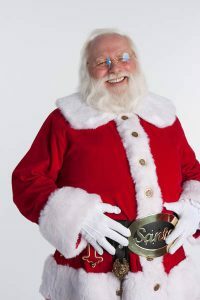 Santa Lou is the perfect Santa for your event; with his experience he’ll tailor a special visit which is sure to be the highlight of all.